This drama focuses on a group of detectives in the Seoul Gangnam Police Homicide Division who solve crimes based on real life cases with their variety of skills and investigative methods. At the forefront of the team is the impulsive and hotheaded detective Park Se Hyuk and the cold, commanding police chief, Jung Il Do. Park Se Hyuk's passion for his work and rough personality results in a tendency to take action first before thinking later, in contrast with Jung Il Do's by-the-book style. However, his greatest weapon is an instinctive knowledge of a criminal's tricks and mental workings that he gained from his father, the legendary thief, and his own childhood in the streets. Together with the other members of a special team formed to catch Lupin, a notorious burglar, he juggles work with his own personal quest to find his father and confront his older brother, a crooked detective. After the death of Park Se Hyuk’s daughter Hae-in, due to a bizarre car accident, he strives to become a detective and find out why his daughter had to die. His daughter was in an ice-cream shop waiting for him when a car crashed into the shop ended her young life. The cause of the car crashing into the shop was Jung Il Do, a detective at the time, who in a bid to stop an escape attempt by the criminal (driving the car) shoots multiple times at the vehicle the criminal was driving, resulting in the crash. Since the incident, Se Hyuk manages to become an outstanding detective despite his hotheadedness but outside of work he is no different from a lifeless being, not bothering with anything and everything else outside of work. 5 years pass, and one day while visiting his daughter, he meets the family member of the other victim in the car crash, Lee Dong Suk, who lost his fiancé in the accident. He leaves Se Hyuk a cryptic message (which unfolds in a few more episodes) about how revenge can help heal the heart and that he should start living as a person again. Se Hyuk brushes his encounter with Dong Suk aside, and goes to work as usual. Only today is not a normal day at the precinct, a new head of department has arrived to take over and it turns out to be none other than Jung Il Do! The tension between these two characters can be felt from the moment they realize with the other person is. Il Do appears amused that Se Hyuk really became a detective. He is nonchalant and unapologetic about having shot at the criminal which indirectly caused the death of Se Hyuk’s daughter, while Se Hyuk is shocked and angry (wanting some sort of explanation or apology from Il Do but getting nothing to answer his questions; frustrating him even further). A few episodes in and Se Hyuk realizes that Lee Dong Suk is on a vendetta, killing off criminals who have managed to escape the justice system. He is soon on Lee Dong Suk’s trail when he realizes that Il Do is on his target list. So while the chase is ongoing, we get introduced to another character, aspiring (and struggling) reporter Jo Min Joo who literally crashed into Se Hyuk’s life, slowly opening his frozen heart and making him more human again. She manages to hang around until she becomes a police special reporter, giving her more access and cute moments with Se Hyuk; even helping them with their cases to the ire and disapproval of II Do. She eventually gets into a major publishing company and becomes a bona-fide reporter. The case with Lee Dong Suk concludes (somewhat) and there were a couple of other memorable cases that stood out for me. Around episode 6-7, it was the case of a high school girl who had committed suicide by jumping off the school building after school hours. As our detectives work to discover why the girl had jumped, we also meet the demise of the weak-link character in this drama, played by actress Seon Woo-seon. Seon Woo-seon’s character is conflicting and confusing, she’s an aspiring detective-to-be and wants to make it in to the CID, but she is also at the same time timid and a scaredy cat who freezes up in crucial moments which require her to act on her feet. This case of the school girl’s suicide shows a little more into this detective’s past with bullying and how it affected her. Her departure from the drama was nicely incorporated. I shudder to think how school life has not changed much and has even gotten more brutal, with manipulative (not to mention) rich bullies who appear innocent and kind. I guess it does not help that society at large is more materialistic; all hiding behind a facade. With Seon Woo-seon’s character departure, in comes a new chief, Lim Gyeong-eun, Her interaction with the team is shaky initially but eventually works out; resulting in a family-like structure. She is always on the team’s side, even standing up to Il Do to defend them within her capacity. She eventually develops a relationship within the team. The investigative team then goes on to solve the case of a girl who got kidnapped during her company’s training in the woods. Min Joo gets too involved and ends up getting kidnapped herself, which puts Se Hyuk in panic mode. It’s sweet to see him start to care about Min Joo and look after her, developing a soft spot for her despite his denials. The awkwardness and cuteness of this couple is nicely done. Of course, they find out with the culprit is and manage to save the day. As the episodes progress, we learn that Min Joo’s father is actually a master thief who has been recently released from prison and has something important to a political figure (who happens to be Se hyuk’s ex-father-in-law) and in cahoots with the police chief commissioner (who happens to be Il Do’s father). Further tension and conflict is thrown into the mix when Se hyuk’s ex-wife comes back from America and briefly dates II Do briefly before finding out that he was the one that caused the death of her daughter. Matters are further complicated when she realizes that her father (the politician) was the one who caused a misunderstanding between Se hyuk and herself resulting in their divorcé. 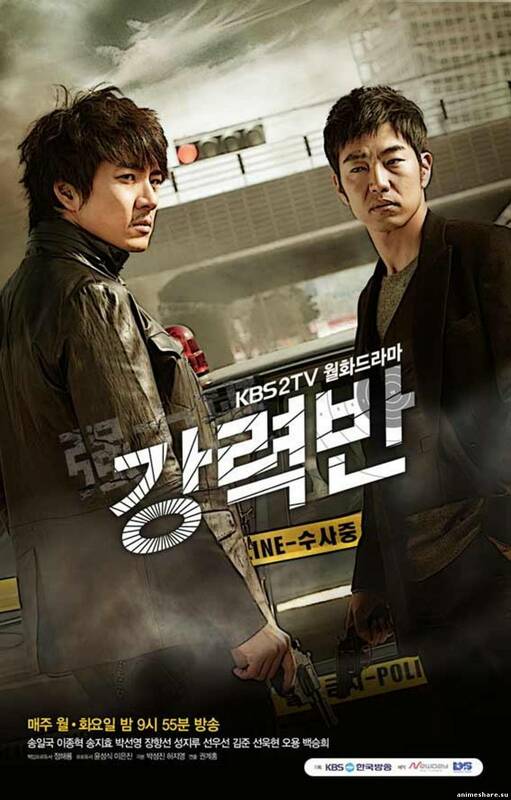 When the team captures a psychotic serial murderer, who kills young women and stamps their hands with a “Good job” stamp, the pieces all fall into place and II Do realizes that it wasn’t his bullet that killed the criminal (causing that car to crash into the ice-cream shop and killing Se hyuk’s daughter). 16 episodes isn’t that long and I felt that it could have been made into a sequel. With the main question solved, the show has potential to become a regular detective show (e.g. 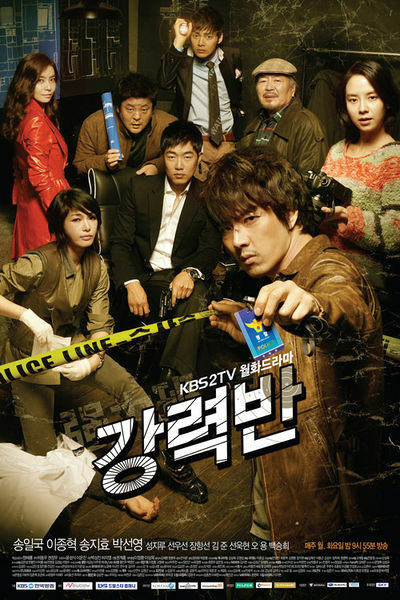 like criminal minds) with more interesting cases to solve with a follow-up on the characters life .The whole drama was like a plot within a plot: there was the main plot of finding out if the death of Se hyuk’s daughter was truly an accident, was it really caused by Il Do, and then all the cases along the way eventually led to the resolution of the main question. There is even a nice satisfying twist at the end. I dont like this drama. I actually think that this drama kind of a mess. And also Lee Dong Suk is such a useless character, even from the start of drama. He did nothing and keep opposing their team member's opinion. He really did nothing in solving the case and just keep on doing useless thing.